This month, a large Godzilla sculpture appeared in Tokyo. It’s made of sand. Hope it doesn’t rain! 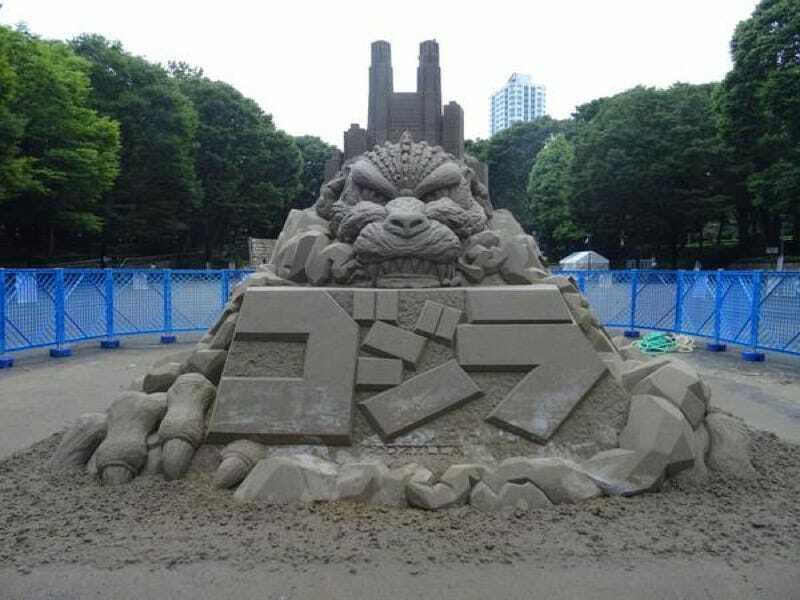 This sand Godzilla sculpture popped up in Shinjuku Central Park. Earlier this year, another Godzilla appeared in Shinjuku, towering over the streets below. That statue is part of new Godzilla-themed hotel rooms. Last year, another giant Godzilla went up in Tokyo to promote the Hollywood film. That statue, however, was temporary, like this newest sculpture is. It was not made of sand, though.